Low Bridge End farm is a 50-acre farm run along traditional and sympathetic lines preserving the outstanding natural beauty and quiet. It has never been intensively farmed, the hens run free, the ducks and geese swim in the beck and the turkeys gobble! The four-legged beasts graze peacefully (even the deer!). Low Bridge End Farm currently supports a flock of rare breed sheep. These include Gotland, Badger face, Hebridian and Lleyn. They are kept for their fleeces and meat qualities. Our goats can be seen grazing on the crags. We sometimes keep a couple of Galloway cattle and weaner pigs. We lamb in March and April and if you are staying you are more than welcome to help feed any pet lambs. Mechanical operations are kept to a minimum to preserve the flora, which grows as nature intended without nitrate fertilizers. 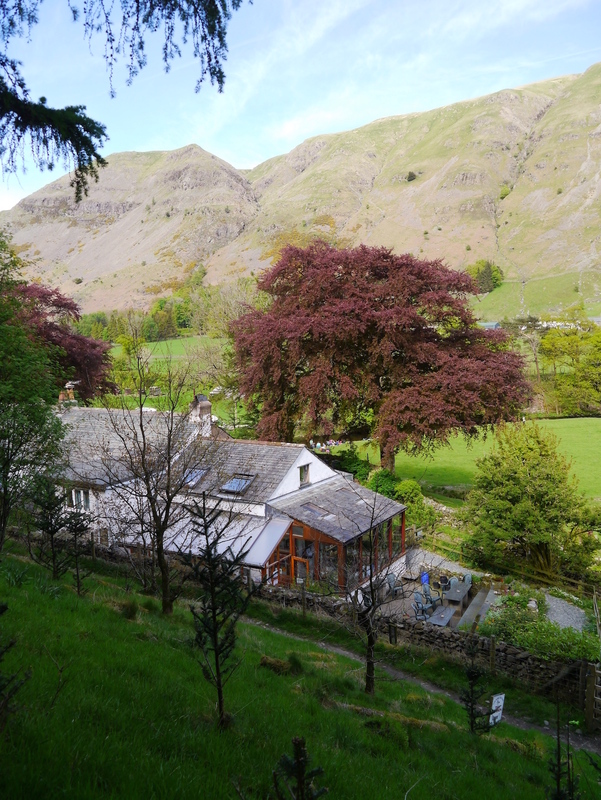 The farmhouse is beautifully situated, tucked under a fell with a beck (crossed by our own bridge) in front of it. It has appeared as a typical Lakeland Farm in various books. We have established a lot of woodland, much of it is oak and beech as well as Christmas trees and beautiful larch. Your walks can start from the doorstep, through woodland, following the Woodland Trail, or along the river path. You will find a profusion of birds, including dippers, kingfishers, buzzards and herons. Red squirrels, badgers, hares, deer and otters may be seen in their natural habitats. Bats and owls will join you at dusk when the salmon and trout are rising.